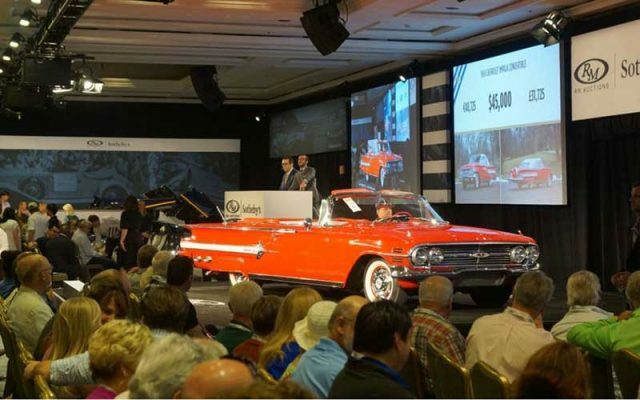 The word SOLD spells success at classic car auctions. It is a simple fact. When you take your collector vehicle to auction the goal is to sell when you enter the auction arena. And just as a wrestler enters the ring, an auction is not just a game of chance … you need some skills to achieve your SOLD. The auction house will do what they can to ensure a healthy sale that benefits you both, but there are things you can do to vastly increase your chances of achieving that SOLD. Many of the same principles for selling a car online hold true for selling them at classic car auctions. The auction will do their part to promote your car, but you can help. Increasing the number of bidders is key. Take good photographs for the auction website. Click here to read our “How-To” guide to taking better promotional photographs of your car. Some auctions will have additional requirements for photographs appearing on their website. Submit well in advance of the auction so that your photos may be used in the advertising for the auction. Advertise your car on websites like Cars On Line! We charge a flat fee and can help draw more people to your auction listing. Click here to create an ad. Utilize social media to network with auto related groups, getting the word out about how, when and where your car will be sold. Prepare a printed handout with complete and detailed information to potential bidders so that they can be confident in their choice to bid on the car when the time comes. Be available to answer questions both online, and onsite during the auction’s preview day. Be honest about the car’s history and condition. Build the desire in potential bidders so they can bid with confidence. Your goal is to draw potential bidders to your car well in advance of the auction. Most of the online or phone bidders you see bidding at big national auctions are aware of the car before the auction even begins. The more interested bidders the better. If all of this seems to be too much work, brokers will do all this for you. They will steward your vehicles through the auction for you. They will even call prospective buyers to give them a heads up about your vehicle for sale. 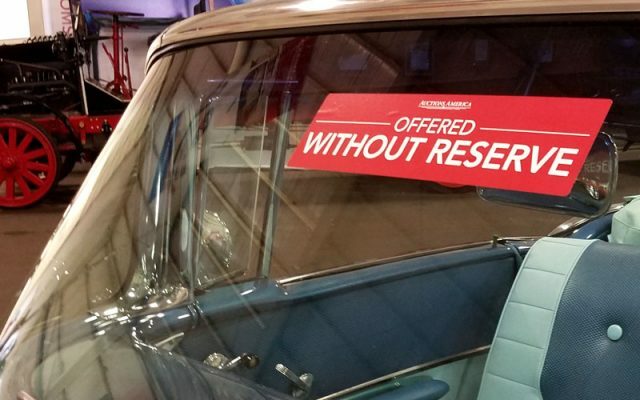 We previously mentioned that most classic car auctions have a preview day, a day prior to the auction when potential bidders are invited to come and see the vehicles in person. During this time, have your printed handouts available on-site. It helps if you are there in person with the car to answer questions and continue promoting your car. Create a connection with attendees and they’ll be more likely to bid. Invite them to share information about your car. Hand out flyers or business cards with information about your car. You may not want to go “full salesman,” but making yourself available and being personable to potential bidders can go a long way in establishing the confidence they’ll need to bid. Make your car look as good as it possibly can. Most auctions will offer a detailing service. When your car reaches the staging area, make sure it looks ready for prime time. The auction house will make things easy once the car sells. They’ll handle the retitling and deduct fees from the sale price. The buyer is responsible for arranging transportation. Once your car sells, you’re in the clear to enjoy the rest of everything the auction has to offer. Enjoy your sale. You earned it! CLICK HERE to see more “How To” content from Cars On line.